It’s Ellen Hutson release day, yay!!!! There’s such a great lineup this month — be sure to check out the whole release right HERE! 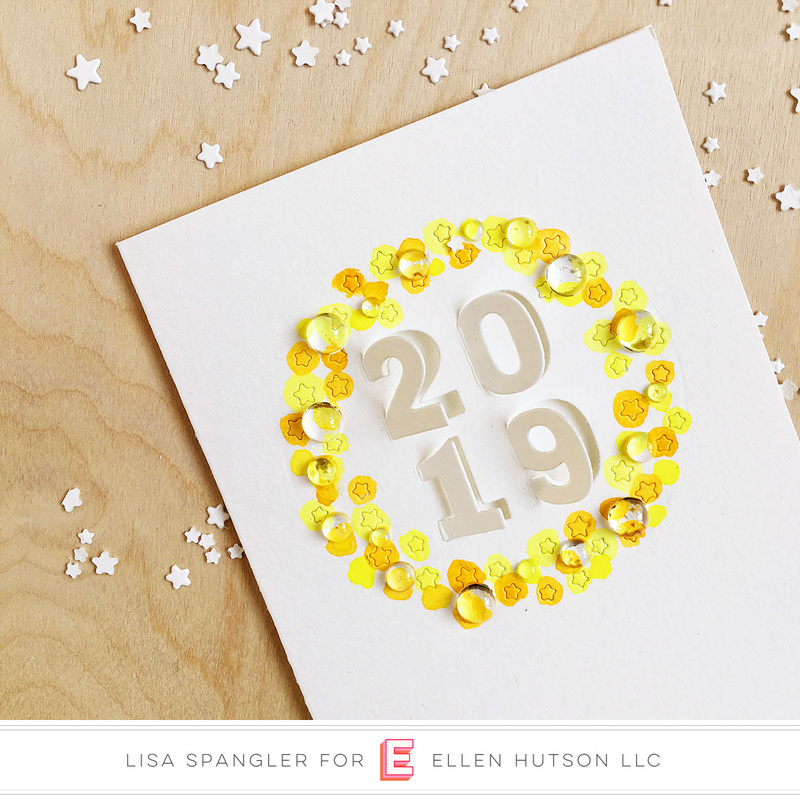 I’ve got THREE clean and simple New Year’s cards to share using allll THREE new starry dies and the awesome Hinged Number dies. This one was super simple — and actually my fave of the 3! 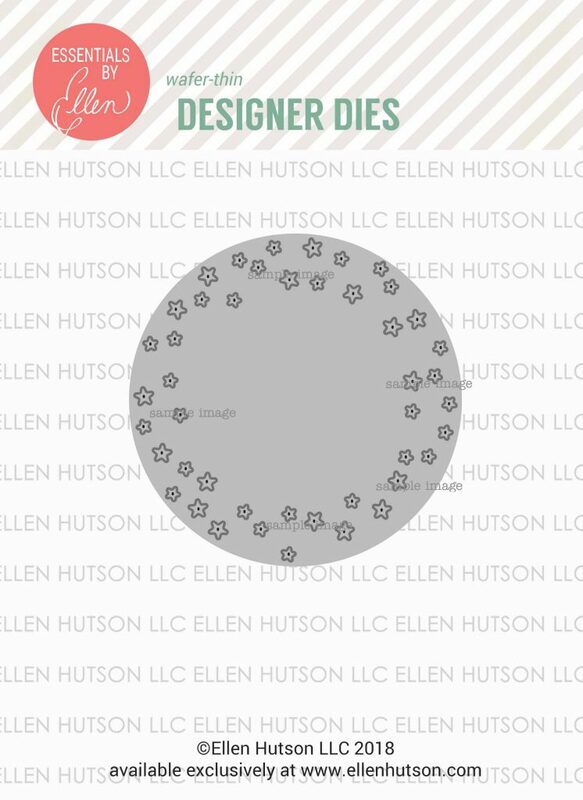 I just made a base card out of thick watercolor paper, and die cut the circle of stars without using a shim to get an embossed look. Then I die cut those numbers out of the middle. Then I added some spots of color using the Hansa yellow light and new gamboge from the Daniel Smith Essentials set and then some clear droplets and that was that! Can’t get enough of the clear droplets these days, I kinda want to use them on everything! 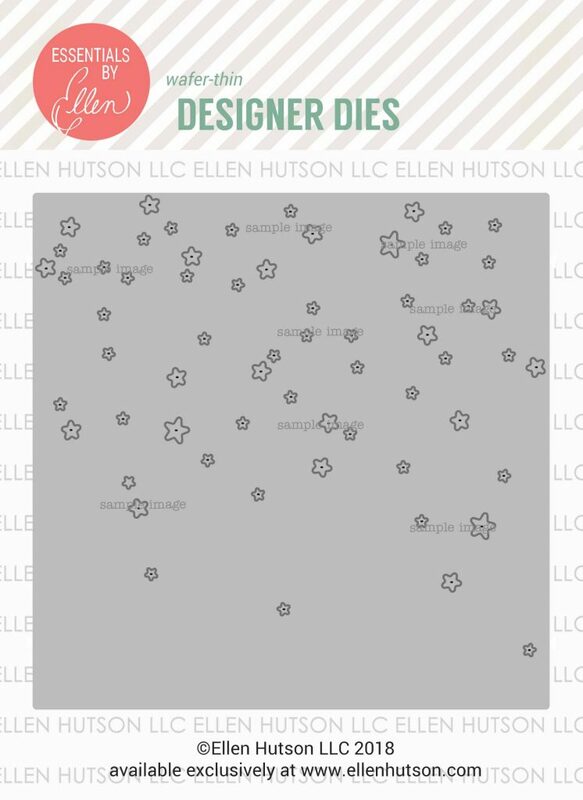 Next up, the new Starry Night die! I love this full card sized die!!! 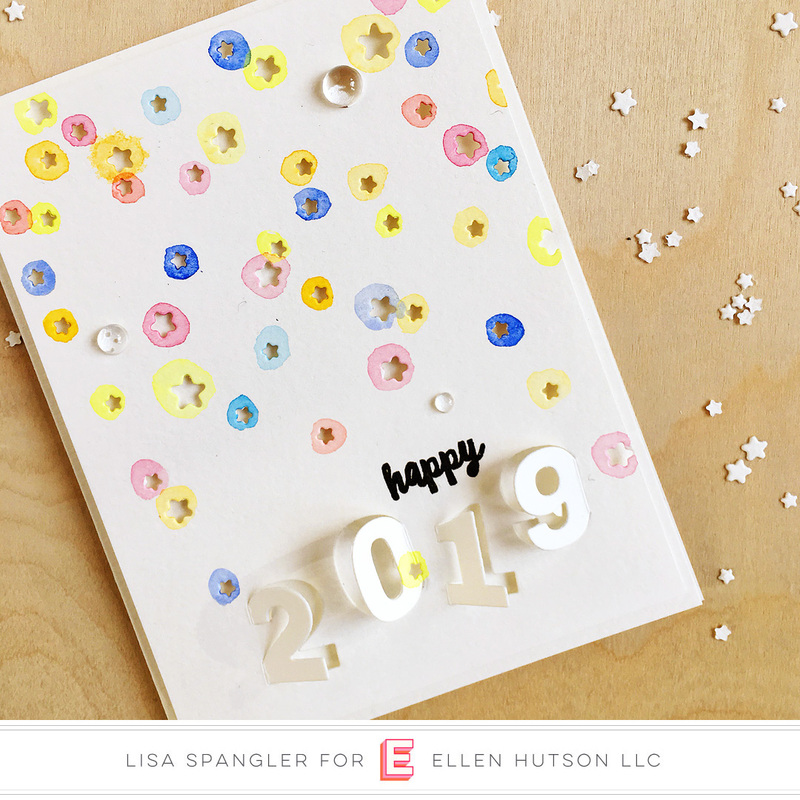 For this card I mixed it up a little and cut out the hinged numbers — a great way to get more from your supplies! :) I also played around with the 2 blues from that Daniel Smith Essentials set. 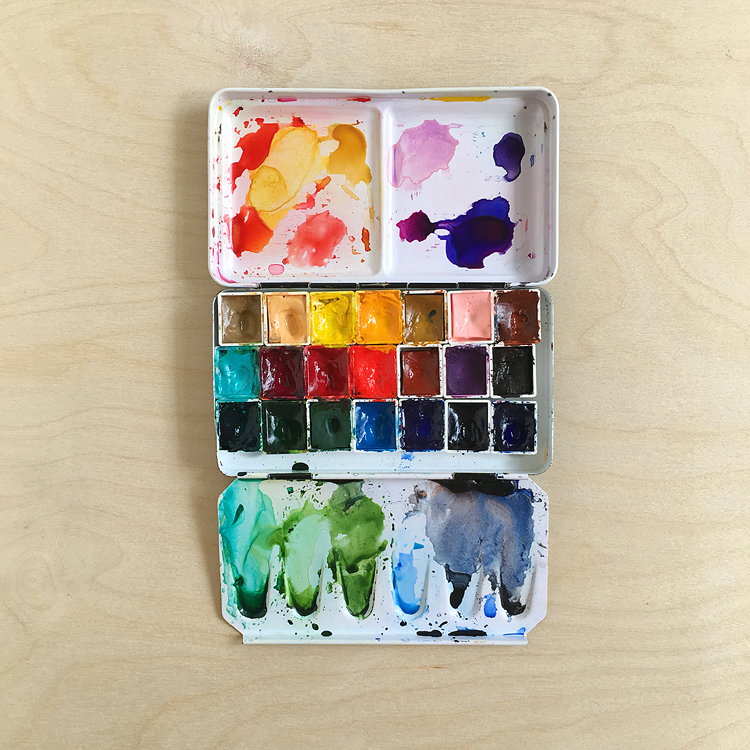 Speaking of that Daniel Smith Essentials set, find a full writeup about it with a color mixing chart HERE. 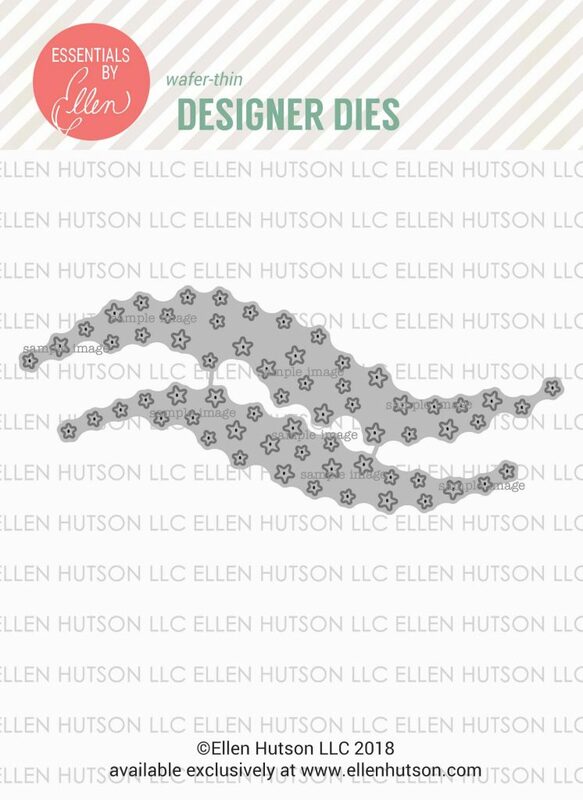 Thanks so much for joining me today, and be sure to check out what the rest of the Ellen Hutson Design Ambassadors have come up with over on the EH blog! 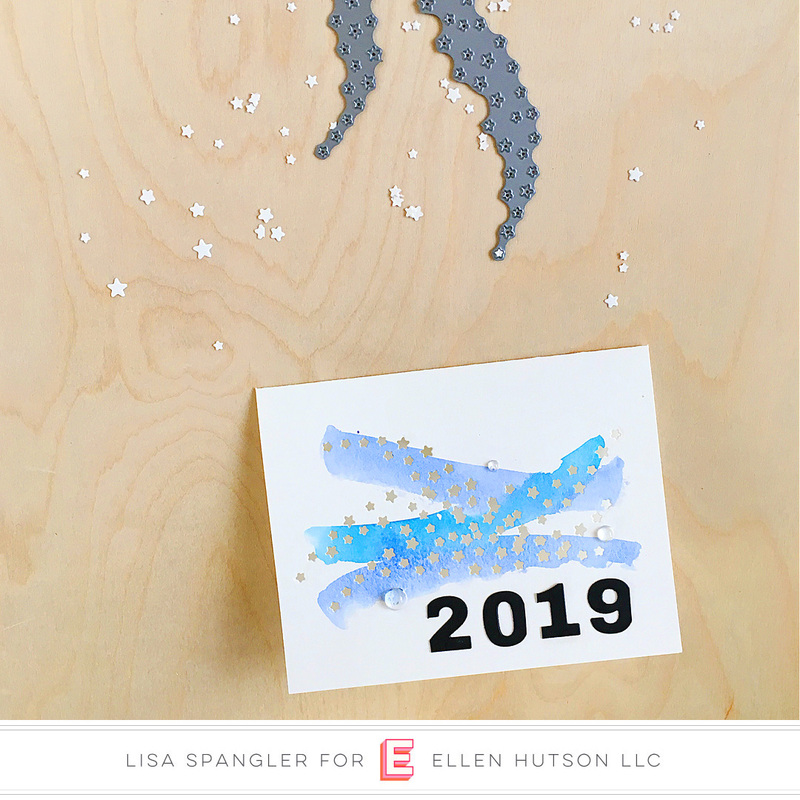 Happy new year, all! Hope it’s your best year yet! 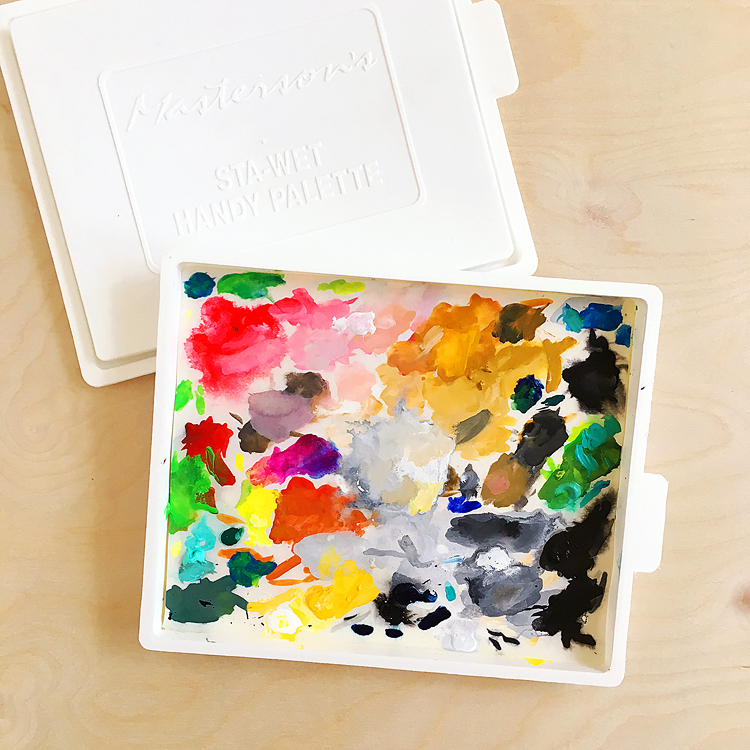 Note that these are my affiliate links, so if you make a purchase by clicking the link I’ll receive a small commission at no charge to you — thank you! Just click on the image to add it to your cart. Beautiful! Creative! So glad I stopped by. I am definitely subscribing. Thank You for the wonderful ideas and explanations.